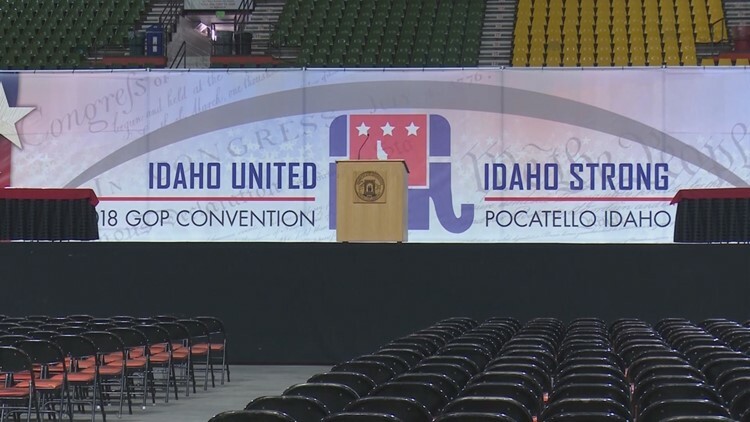 The Idaho Republican convention is being held at Holt Arena on the Idaho State University campus this weekend. Republicans adopted the resolution on Friday during the second day of the Idaho GOP convention in Pocatello. BOISE - GOP delegates are asking the Idaho Republican Party to formally oppose a Medicaid expansion ballot initiative expected to be on the November ballot. Republicans adopted the resolution on Friday during the second day of the Idaho GOP convention in Pocatello. Just a handful of participants opposed the measure. Janice McGeachin, the Republican nominee for lieutenant governor, sponsored the resolution. The same group then spiked a similar resolution that would have asked the GOP-dominant Legislature to find a state solution to address the estimated 62,000 Idahoans who don't qualify for a health care subsidy or Medicaid expansion. Under the Affordable Care Act, the U.S. government pays at least 90 percent of the cost of expanding Medicaid while states pick up the rest. Idaho's GOP-dominated Legislature has long refused to consider expanding Medicaid.